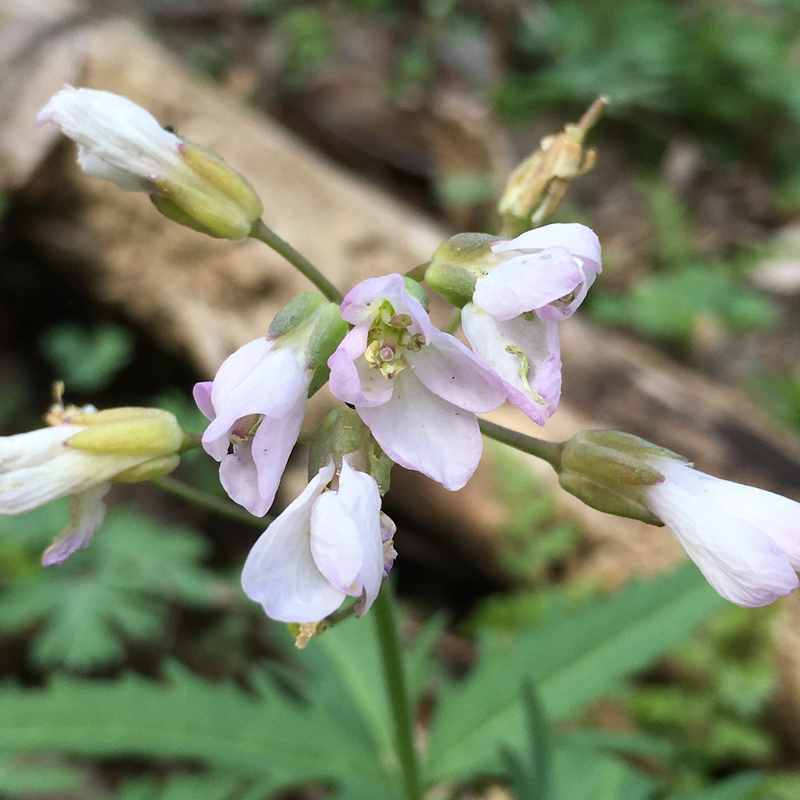 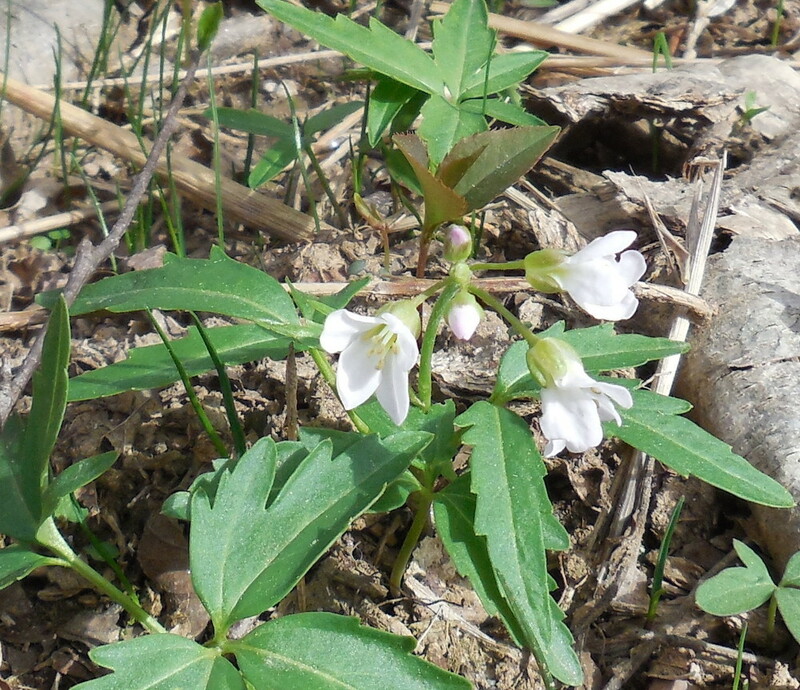 Cut-Leaved Toothwort [Cardamine concatenata] found off a new path at Fletcher Park on 5 April 2014, on Bearwallow Mountain on 23 April 2016, and in Gerton, NC on 14 April 2018. 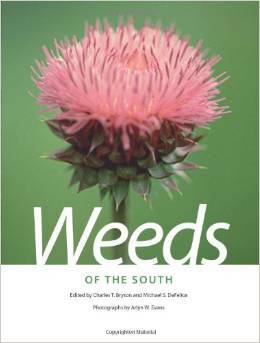 It’s a member of the Mustard (Brassicaceae) family. 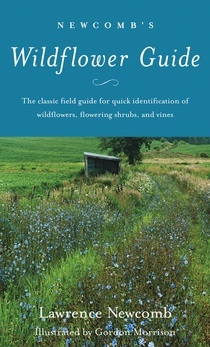 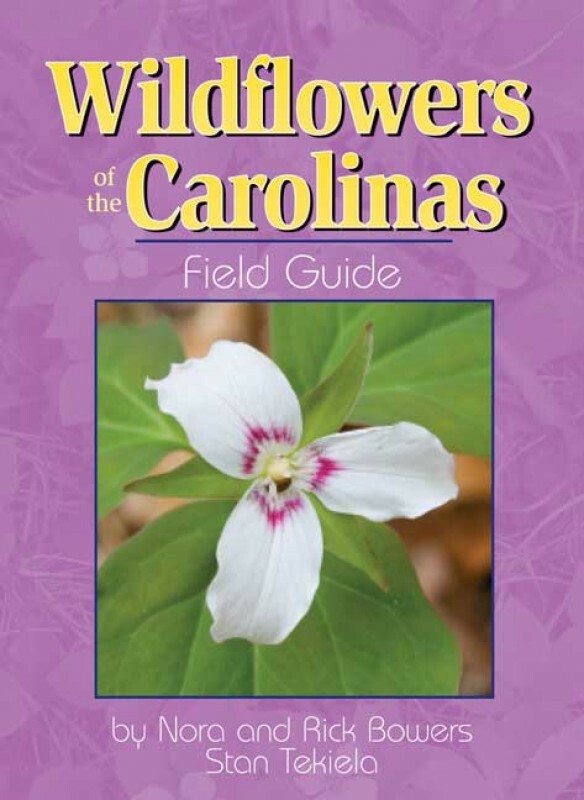 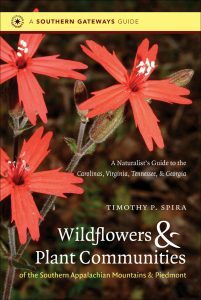 Newcomb’s Wildflower Guide, pages 162-63, states it blooms in spring in rich woods. 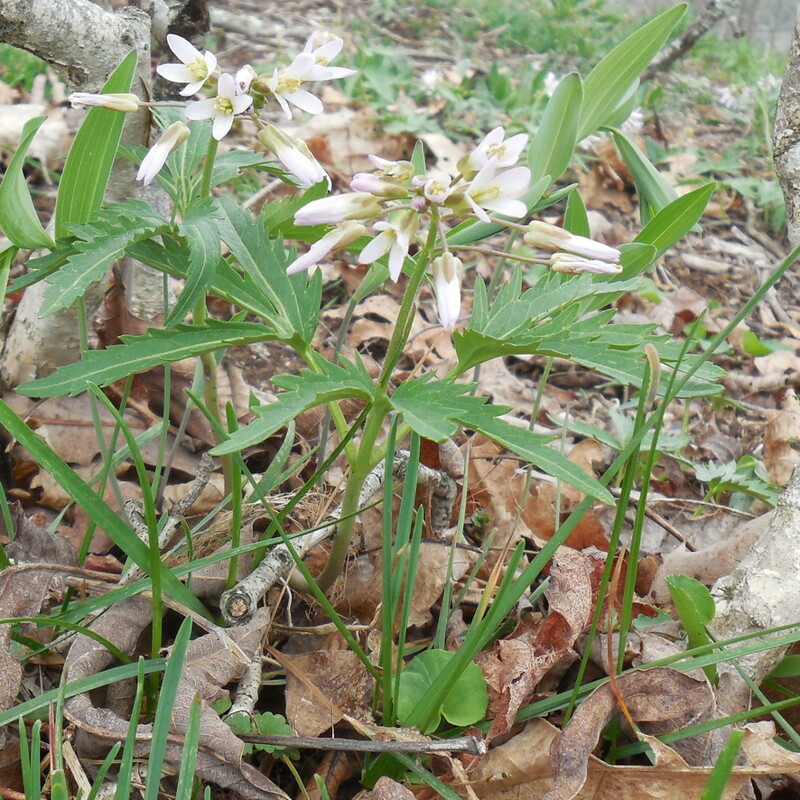 Another synonym for the flower is Dentaria laciniata, and it also gives it another English name of Pepperroot. 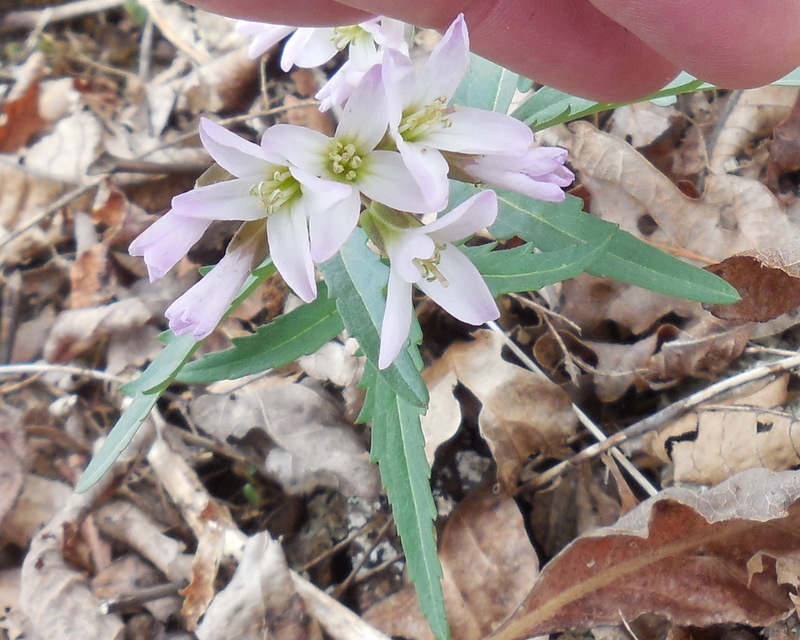 The color is a little washed out, but it’s a white or pink flower.